Small business. Big Grant. That’s the motto of the FedEx Small Business Grant Contest. Voting runs from now until February 23rd, 2014. 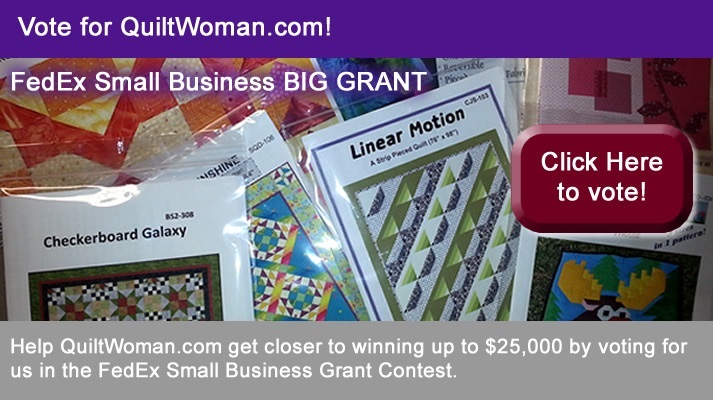 QuiltWoman.com has a chance to win a grant of up to $25,000 partially based on the number of votes we receive. We are asking our blog readers, followers, staff and friends to vote for us every day so that we can make our small business better. Here is our entry. I have been sewing, quilting, and crafting all my life. I have owned a craft shop, a mail order business, my own CPA practice, and a quilt shop. In 2005 I began designing my own patterns. 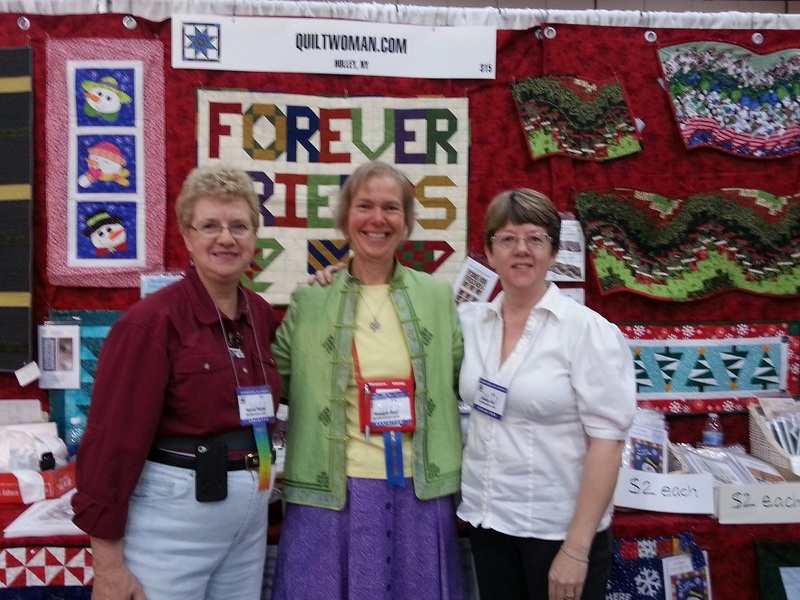 QuiltWoman.com was a company I wanted to emulate. When the prior owner was retiring, I bought the company in order to expand my distribution channels. I then began to help other designers cultivate their passion as well. This business brings together all my past experience into one perfect business for me. Success means loving what you do and earning a living at the same time. Knowing that I am contributing to my family income while enjoying my work every day and helping other independent small business people is the most rewarding work I could hope for. The quilting community is a warm and friendly place to work and I can’t imagine ever doing anything else but staying in a creative business. The services I provide (at no upfront cost) for designers are not offered on this scale anywhere else. Please take a few seconds each day and visit the FedEx Small Business Grant Contest site to vote for us. This entry was posted in Designers, Fabric, QuiltWoman, Uncategorized and tagged anne weins, Barbara Huber, downton abbbey, FedEx small business grant contest, Nancy Dill, QuiltWoman.com, reversible tote, sweetgrass creative designs. Bookmark the permalink.